Chef David Waltuck calls Chanterelle ‘a fantasy of a restaurant, dreamed up by a little, food-loving kid, that somehow, magically, came true’. For over 28 years and from two different New York City locations, Chanterelle has broken the boundaries of French cooking, winning over such fans as Gael Greene, Richard Avedon, Keith Haring, and Malcolm Forbes along the way. 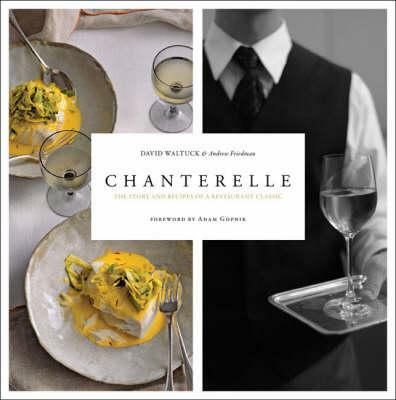 Now, co-owner and co-founder Waltuck invites you into his bustling kitchen with a sumptuously illustrated cookbook chockfull of the recipes that have made Chanterelle a destination restaurant of international stature. From their signature Seafood Sausage and other fish and shellfish creations to salads and first courses, poultry and rabbit, meat and game, side dishes, and desserts, this book simply overflows with nouvelle cuisine classics. A must for anyone who has ever had the pleasure of dining there - and perfect for professionals and the armchair market - Chanterelle is a cookbook to savour.